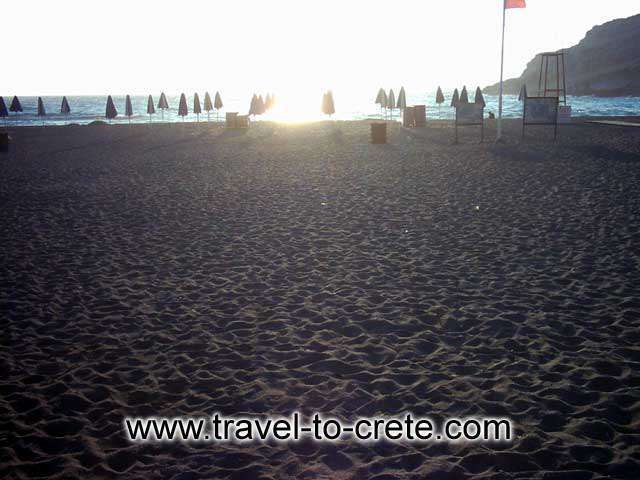 Matala is one of the top and best known spots in Crete. 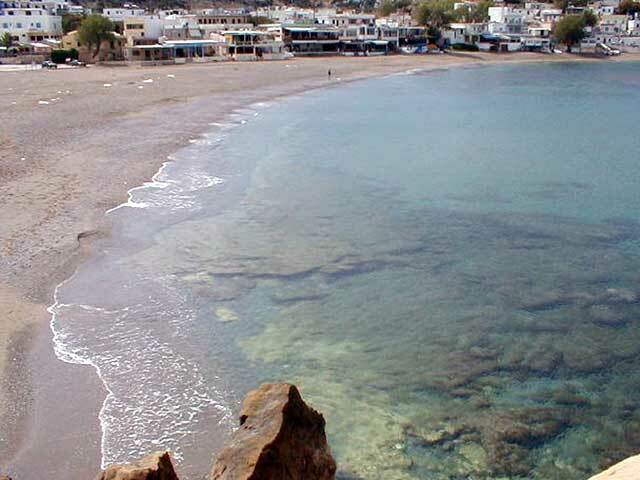 It was the ancient port of Phaistos and Gortys (to be exact the harbour of Festos used to be at the nearby Komos in the Minoan period). 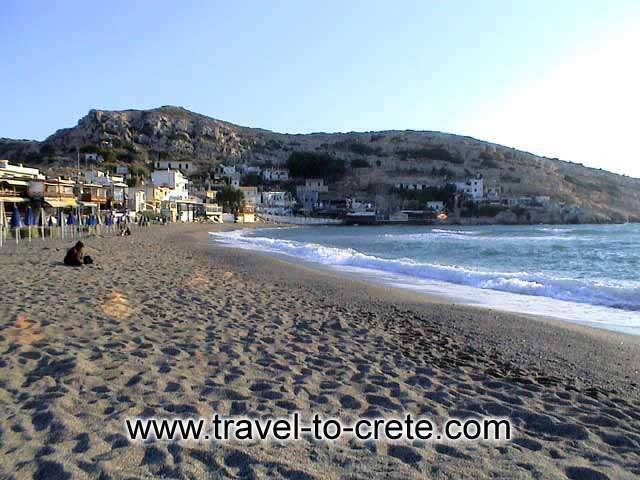 It was a small fishing village until the 60's when it was discovered and slowly turned into a modern holiday destination. 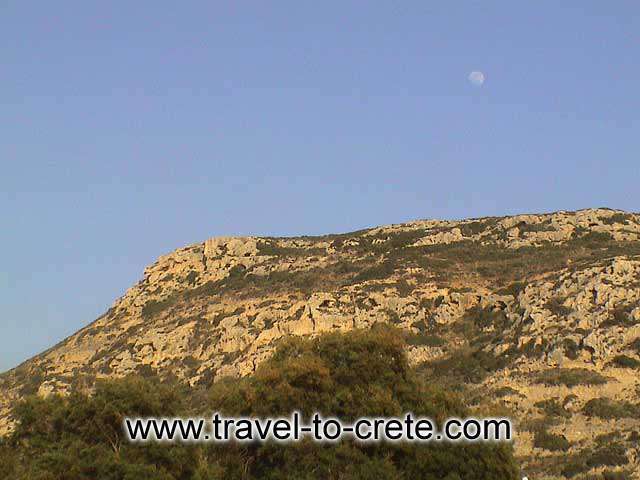 It lies about 4 km South West of Pitsidia and about 70 km from Iraklion. 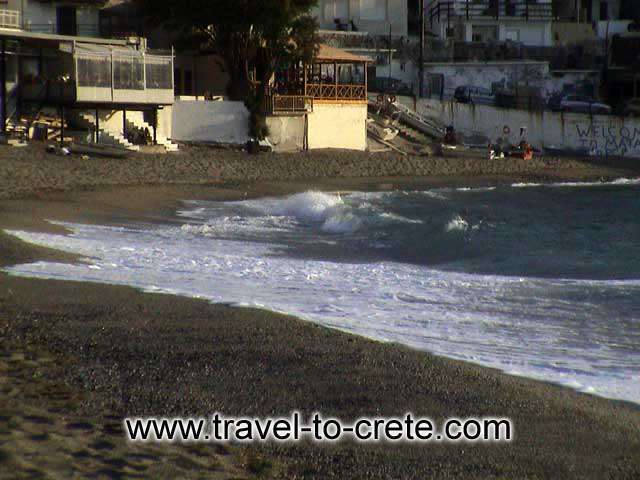 It is built on the coast line of the Messara bay inside a small and picturesque inlet. 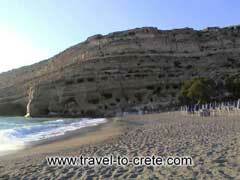 Matala is known to the world as the place of the famous caves, carved on the rock at the North end of the beach. 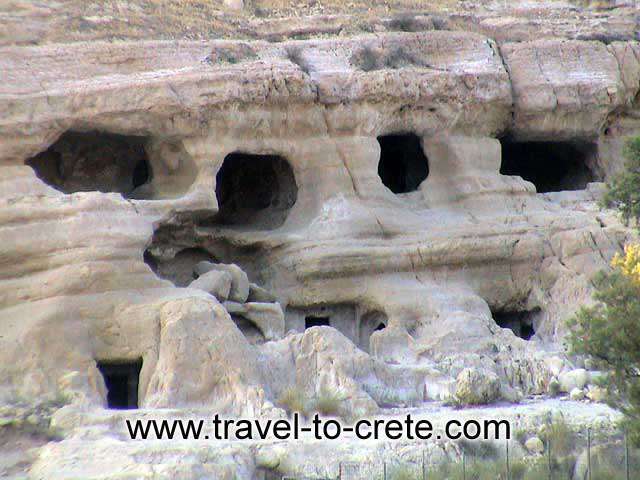 Tombs from Greek, Roman and Early Christian times have been found in the caves, and it is believed that they were first inhabited in the pre-historic period. During the 70's the caves were hosting an international hippie community. That was a cultural shock for the local community, which had met no tourists before the hippies arrived. 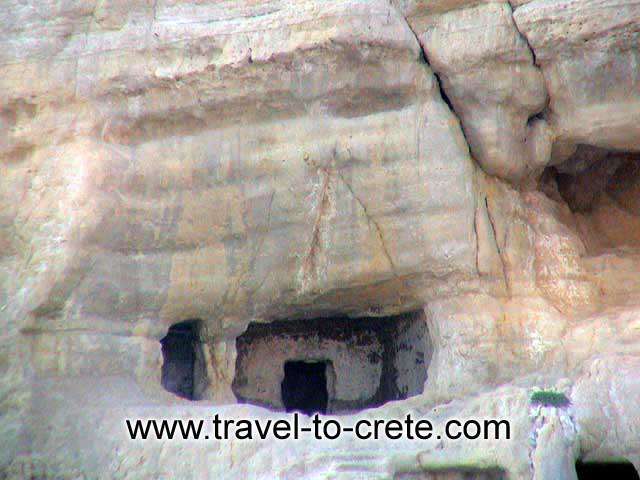 The caves of Matala Great musicians like Cat Stevens and Joni Mitchell have been here for some time composing beautiful songs about the beauty of the bay of Matala. 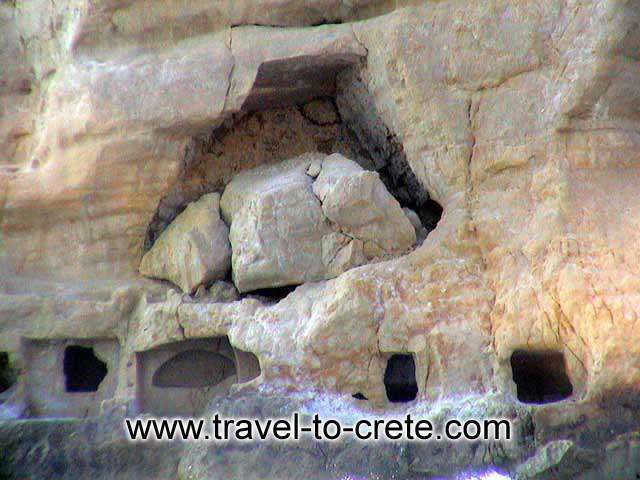 The entrance is free but overnight stay in the caves is not allowed. The terrain is rather rough, so avoid slippery shoes. 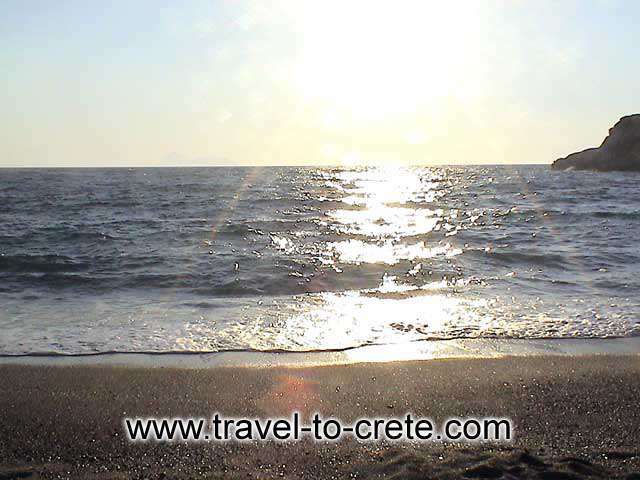 There are also underwater caves, which can be visited by boat.